"Well the buzz this morning is that last night’s party was the best ever! The place looked great, all the food was delicious, Sergio and the entire staff were amazing (of course) and Junior had everybody dancing. It was a perfect evening." Metronome offers fabulous event spaces in Manhattan and a host of exceptional event services. Lexicon (226 East 54th Street) Sophisticated and smart, Lexicon can host small to medium size parties of up to 425 guests. Incorporating open architecture, sunken dance floor, multiple bars and exquisitely crafted furniture and decor, your event will be expertly executed in a breathtaking atmosphere. Contact us to learn more about our Manhattan event planning services and how to hold your next event at Lexicon. Metronome Hospitality Group will make your event or private party run like clockwork. Beyond the most amazing private event spaces in Manhattan, we provide a true turn-key approach to organizing and executing the best NYC parties and events. If you’ve got the desire, we’ve got the experience. Whether planning for a year-end holiday party or corporate event, Manhattan wedding or charity gala, Metronome makes it happen. We’ve planned and hosted events for every occasion – on every scale, always working within our clients’ restraints and exceeding expectations. Our dedicated staff of nearly 200 professionals is ready to make your event spectacular! Want to see some of the great events we’ve hosted in the past? Check out our video reel. We’ll work with you every step of the way to ensure that your event is an unrivaled success, from booking the hottest DJ or live band to selecting the ideal gift bag contents that will have your attendees begging for an invitation to your next big splash. Metronome Hospitality Group can provide full-service catering, including Kosher options, along with complete hospitality, wait and bartending staff for any event we host in our venues. From light hors d’oeuvres to five-course sit-down dinners and even buffet options, our award-winning chefs will see to it that your guests are beyond satisfied when the event is over. Because we choose to work with the best service providers in the industry, we can make expert recommendations for DJs and live entertainment acts, interior decorators, florists and any vendor you could ever need. Metronome also employs house DJs. 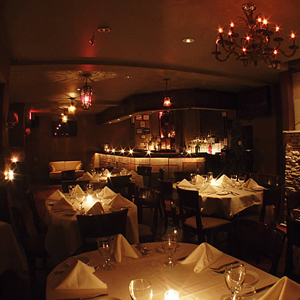 Reach Metronome at 212.505.7400 to plan your private NYC event.